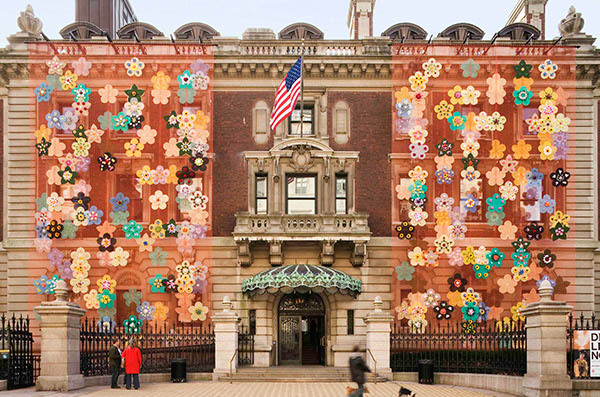 Ken Smith Landscape Architect designed and fabricated a large-scale flower scrim for the front of the museum’s nineteenth-century building as part of the museum’s 2006 Design Triennial. The WallFlowers project is based on a procedure that merges order and seeming randomness. 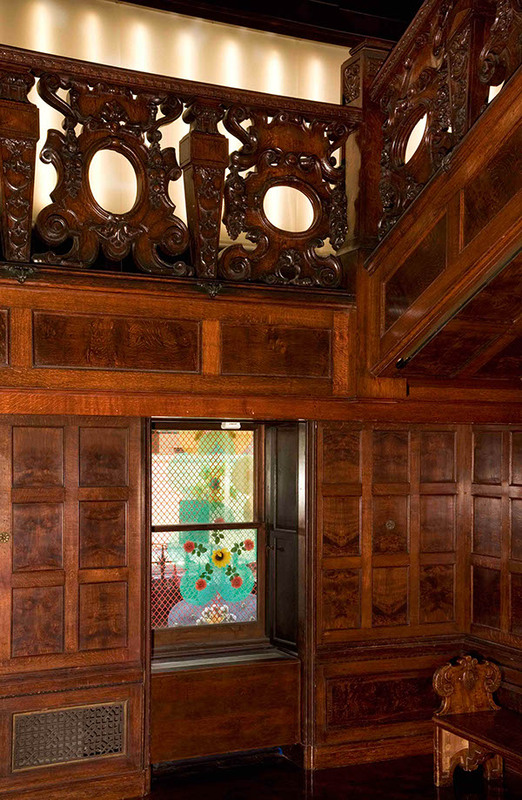 WallFlowers are organized on an invisible grid with the exact flower placement and flower choice subject to a specified process but indeterminant selection. For the Triennial installation of WallFlowers, over-scaled flower shapes were fabricated from brightly colored varieties of erosion control fabrics that are typically used for landscape construction. 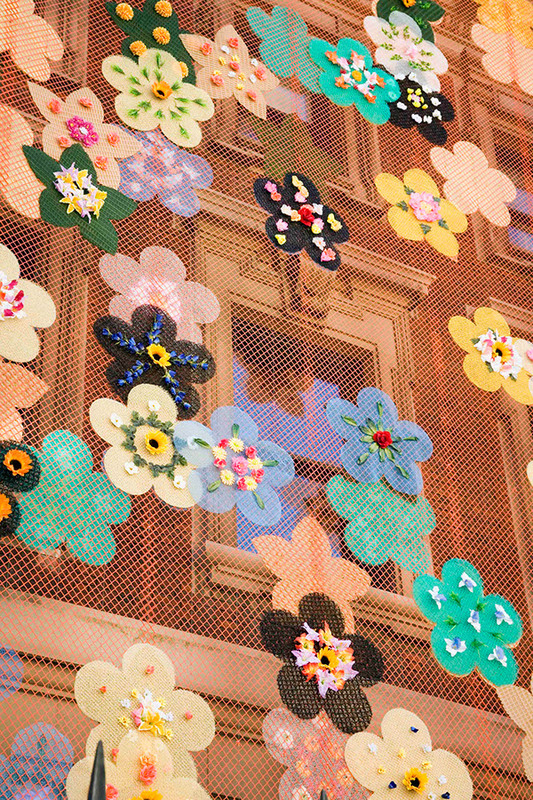 Thousands of three-dimensional silk flowers ornament the flower cut-outs, which were attached on a scrim of safety orange construction fencing. Within the underlying grid, flowers were placed in one of nine possible positions until all positions were used. At this point, the process was reiterated until every grid space on the scrim was filled. The result was an ordered but indeterminant pattern.